Sherry FitzGerald McCreery are proud to present No. 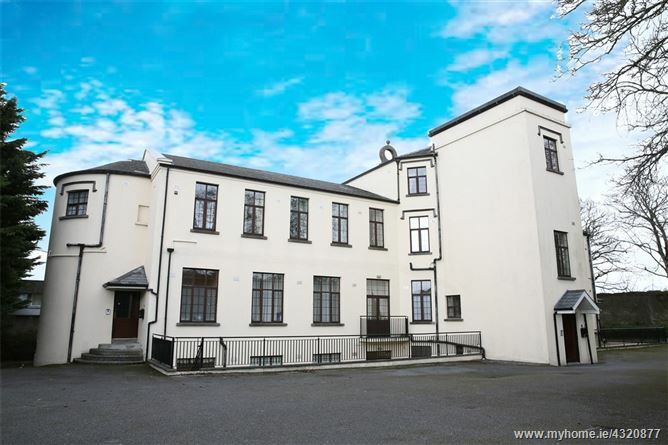 11 Cashel House, a well presented and spacious ground floor apartment in this highly sought after residential development. The property enjoys generously proportioned light filled accommodation that is sure to appeal to first time buyers, downsizers and astute investors. The location on Kells Road is a strong selling point due to its convenient location to Kilkenny City Centre. The spacious and light filled accommodation (extending to 774 Sq. Ft. / 72 Sq. M. approx.) and comprises: entrance hall, living room, separate kitchen/dining room, two good sized double bedrooms, utility room and bathroom. The apartment is located in the rear block which is very private and accessed through electric vehicular gates and a key coded pedestrian gate. The added bonus of secure designated parking space (number 11) completes the picture. The apartment has access to two large patio areas which are perfect for al fresco dining and entertaining. Kells Road is a highly regarded residential area on the edge of Kilkenny City. There are a number of excellent primary and secondary schools in walking distance including Kilkenny Project National School in Springfield, Waterford Road, St John of God National School Upper New Street and the De La Salle Boys National Schools a short distance away. Gaelscoil Osrai (Dalta) on Outrath Road, The presentation Secondary School in Loughboy and St Kieran's College on College Road are also nearby. The property is a short walk to Lidl and Aldi on the Waterford Road and SuperValu in Loughboy Shopping Centre. There are a number of childcare facilities within close proximity. A ten minute walk via the Kells Road will take you into Kilkenny City Centre with its superb choice of restaurants, pubs, coffee houses, boutique shops, two shopping centres and the stunning Kilkenny Castle. There are a vast range of amenities practically on the doorstep of this wonderful home. Viewing is highly recommended.